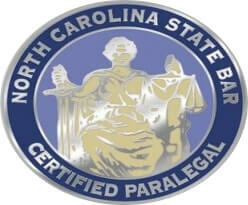 Amanda B. Teague is a North Carolina Certified Paralegal in the firm’s Charlotte office. She supports Nick Valaoras and Matt Covington, attorneys in the firm’s Workers’ Compensation Practice Group, with investigation work, interviewing employers and witnesses, background checks, and researching information regarding allegations and injuries involved in workers’ compensation claims. Amanda is an integral part of the marketing efforts in the firm’s Charlotte office. She is responsible for the coordination of the firm’s workers’ compensation continuing education seminars for clients and potential clients in the Charlotte area. Amanda plans several networking and social events for our Charlotte workers’ compensation clients throughout the year as well. Amanda attended the University of Georgia and subsequently earned an Associates Degree in Applied Science in Paralegal Technology from Central Piedmont Community College. 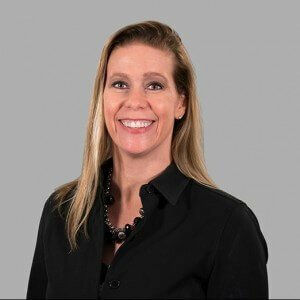 She is a member of the Paralegal and Workers’ Compensation Sections of the North Carolina Bar Association (NCBA) as well as a member of the North Carolina Association of Defense Attorneys (NCADA). Outside of work Amanda enjoys spending time with her husband and their son, and participating in Crossfit and weight lifting competitions.